Jean-Baptiste Tavernier (1605 – July 1689) was a French traveller and pioneer of trade with India, and travels through Persia (Iran), most known for works in two quarto volumes, Les Six Voyages de Jean-Baptiste Tavernier (Six Voyages) 1676) and diamond merchant for some important diamonds of the century. He was born in Paris, where his father Gabriel and uncle Melchior, Protestants from Antwerp, pursued the profession of cartographers and engravers. Tavernier was one of the most remarkable men of a most remarkable century, the 17th century, known as the Age of Exploration. Tavernier, a private individual, a merchant traveling at his own expense, covered by his own account, 180,000 miles (290,000 km) over the course of forty years and six voyages. 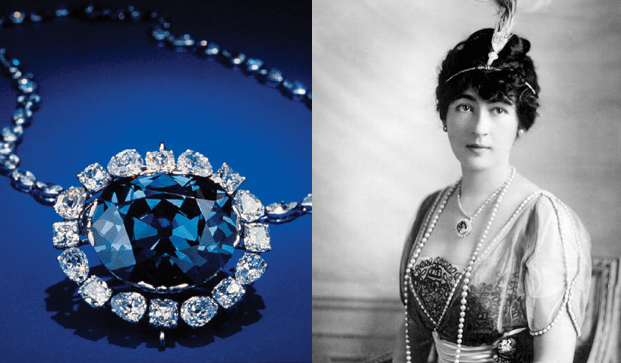 Though he is best known for the discovery and sale of the 118-carat (24 g) blue diamond that he subsequently sold to Louis XIV of France in 1668, was stolen in 1792 and re-emerged in London as The Hope Diamond, his writings show that he was a keen observer of his time as well as a remarkable cultural anthropologist. Drill Holes: One of the few man-made inclusions that can occur inside a diamond. Why on earth would anyone want to drill holes into a perfectly good diamond? It may seem counter-intuitive, but drilling this type of hole into a diamond can actually raise its clarity grade. In some diamonds, the clarity grade may be determined mainly by the presence of just one or two dark included crystals in a diamond that is otherwise relatively free of inclusions. In certain circumstances, the diamond cutter will decide to use a procedure to remove the dark inclusions and, hopefully, increase the clarity of the diamond. First, a hole is precisely made with state-of-the-art equipment; it extends no further than it needs to, and its width is so small (about the size of a pinpoint) that a loupe or microscope is usually required to detect it. Next, a strong acid solution is forced into the new hole. Mohs Scale: Mohs' scale of mineral hardness quantifies the scratch resistance of minerals by comparing the ability of a harder material to scratch a softer material. The Mohs scale was invented in 1812, by the German mineralogist Friedrich Mohs. Mohs based his scale on ten minerals. Indented Natural; in this case, the portion of the original rough diamond's surface which is left on the polished diamond dips slightly inward, creating an indentation. Usually, the cutter makes an effort to cut the polished diamond so that the indented natural will be confined to either the girdle or the pavilion (making it undetectable to the naked eye in the face-up position). Single-cut: A very small round diamond with only 16 or 17 facets, instead of the normal 57 or 58 facets of a full cut round brilliant. Single cuts are occasionally used for pavé jewelry and other jewelry that utilizes numerous small diamonds set closely together.